Art Journaling is like breathing. 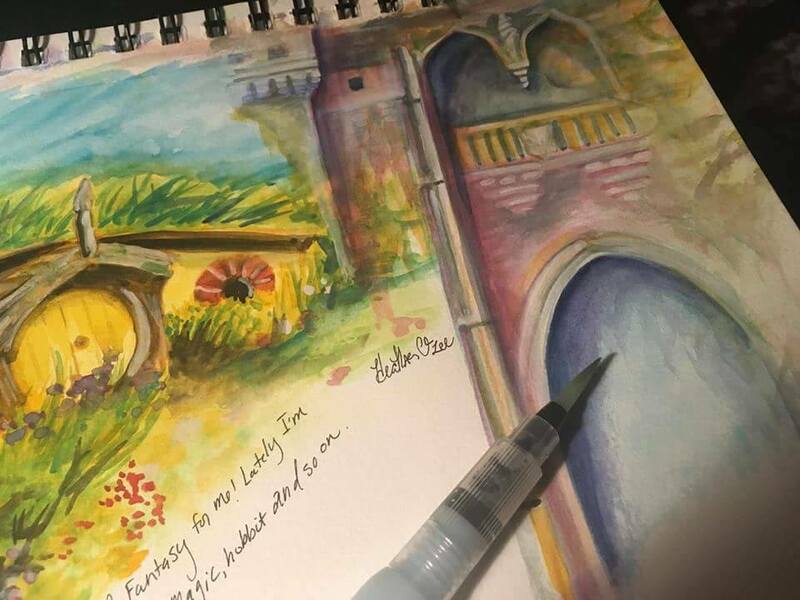 My travel paint set is always in my purse and sketchbook in my purse or under my arm. Doctors office, car rider line, standing in line at Disney World... you name it, I've art journaled there. Maybe it's the former smoker habit, the need to have something in my hands to curb the nerves. It's soothing when I'm stressed, it's an outlet when all my buttons have been pushed and Mt. St. Heather's is about to blow. It's a treasure to record special moment and favorite meals in. It's a place to record life and all that goes with it. When I'm gone my girls will have a large library of these journals to split between them. They'll be able to look through and remember family trips, milestones, and all that jazz. 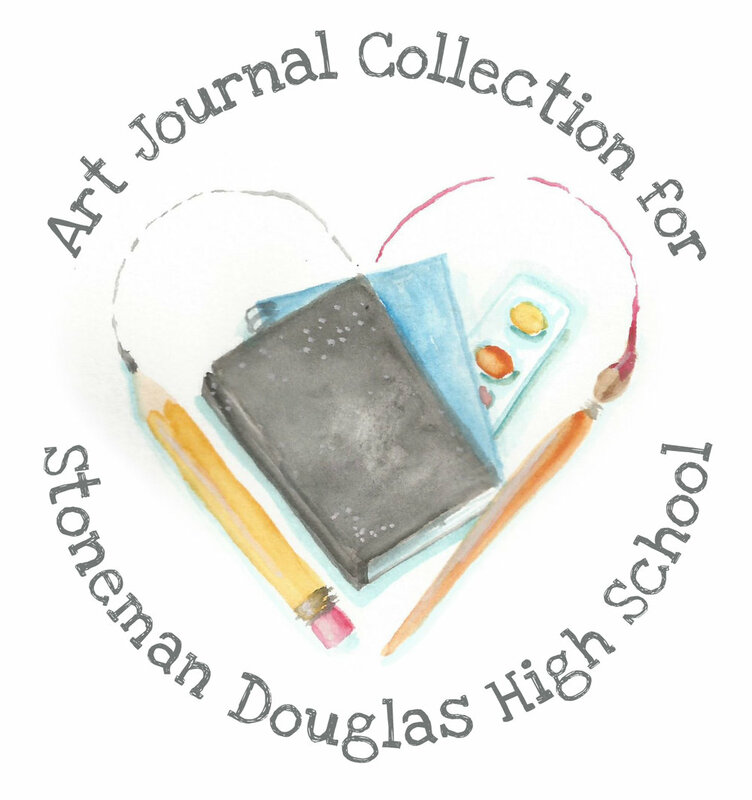 If you want to begin art journaling it's so simple. All you need is a sketchbook small enough to be carried wherever you venture and something to make marks with. Pens, markers, crayons, paint pallets, pencils, watercolor pencils... whatever you like to use to doodle and write with. 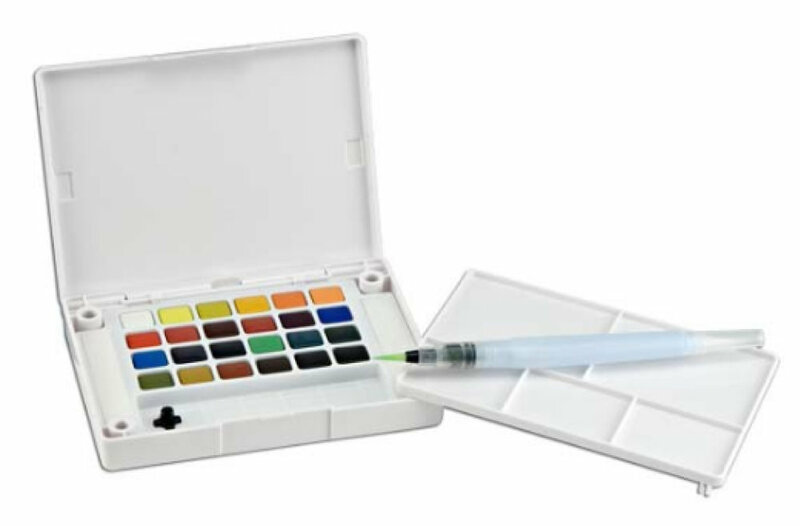 My favorite tools are Koi Watercolor Pocket Field Sketch Box Set which also comes with the waterbrush, the Canson Mix Media Sketchbook and a variety of waterproof ink pens such as Pigma Micron.